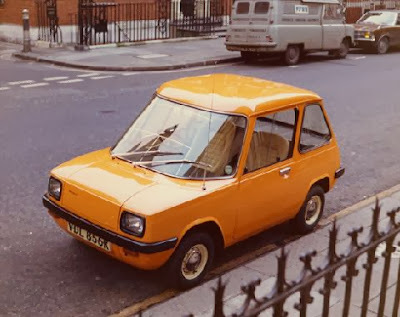 In the late 1960’s Enfield (yes the company that built the bikes) set up Enfield Automotive with the promise of bringing electric cars to the masses in partnership with the Electricity Council. Leading on from the Enfield 465, which had a limited run but was more of a test bed and forerunner to this final production vehicle. 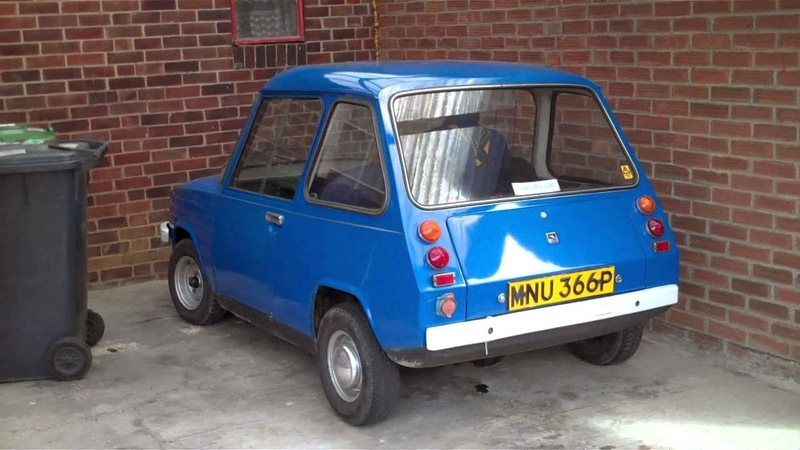 Released in the public in 1973 it was fitted with a 48 volt motor that produced 8bhp was good for 48mph and had a range of 40miles. Add to that its lightweight and seating for four it was the original city car before the term had even been penned. 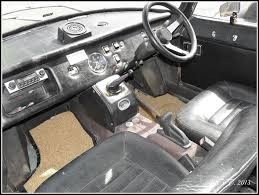 It did share some parts with some other cars such as suspension from the Hillman Imp, rear axle from the Reliant 3-wheeler and for those with good eyes, slightly modified mini doors. It was simple to drive with no gears and simple to maintain with only topping up of the batteries and tyres. Unfortunately its cost was its Achilles heel, this small car that needed a 5hr charge for its limited range cost the same as the Rover 3500. 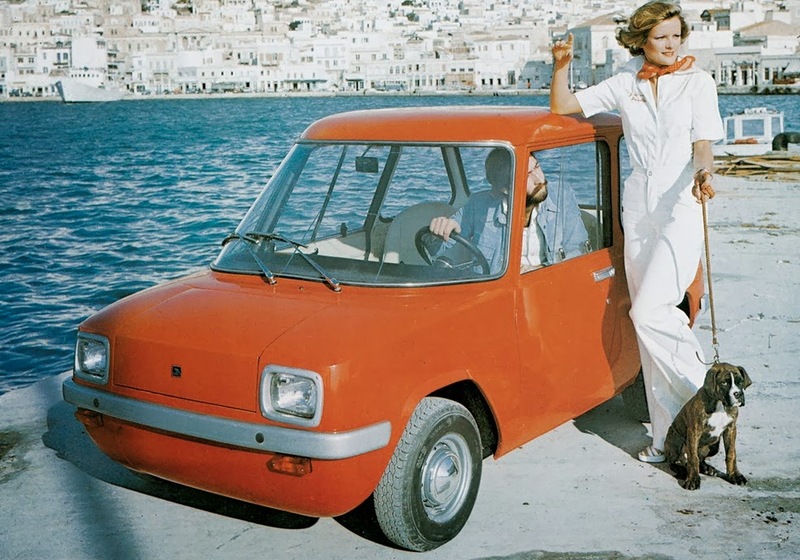 In total about 220 were built up till 1977, 120 in the Isle of Man before production was moved to Greece. 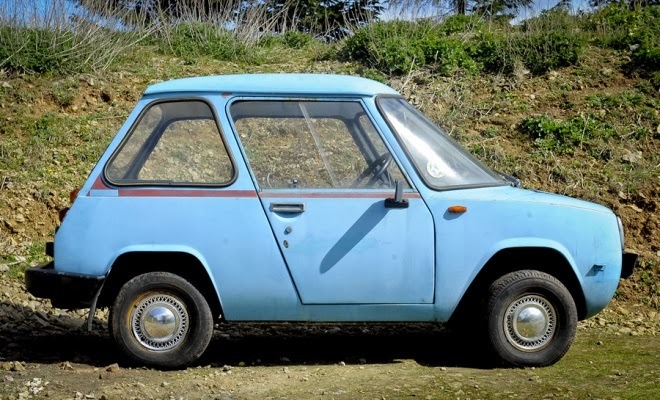 Not all these made it to public hands, some 65 were bought by the Electricity Council and various Electricity companies around the south of England. I think you’ll agree its concept was good, so was its execution at a time of the oil crisis even gave it a possible market but at the end of the day a limited range and that massive cost meant it was a nonstarter. I wonder if the current fixation with electric will last. Nice to know about this car. 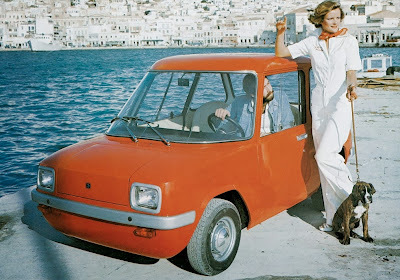 Its really awesome and of old model and usually made for the female as according to its design. 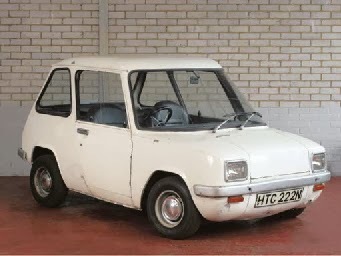 I love this car because my grand mother drive this car.Nice work done on this blog,its very interesting. However, if you want to check the Vin of your car so have a look on vin number on cars.